Happy first post of the new year! I hope you all rang in 2015 with a bang and that you continue to enjoy your time off this weekend. 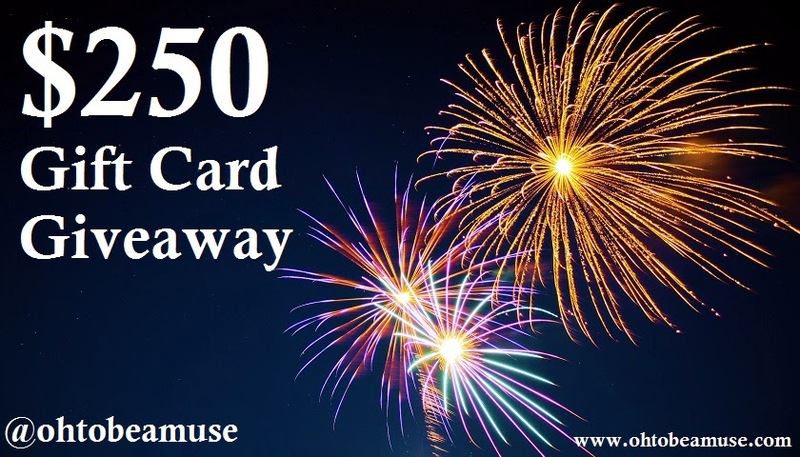 To really lift your spirits and help with any resolutions, I've decided to give one lucky reader a chance to win this $250 gift card giveaway! I want to leave the choice open, so the winner will receive a $250 e-gift card from Amazon, Nordstrom, Sephora or Visa. It's up to you! To enter, just follow the simple instructions on the Rafflecopter below. Giveaway is open to U.S., Canada and International readers and ends 1/9/15. *PLEASE NOTE: If you follow me on Instagram for this giveaway and then unfollow after the giveaway has ended, you'll be blocked from entering any more of my giveaways (I will use Iconosquare to see everyone who unfollows and then block them). Also, if you follow me on Instagram via a bot then I will check this before randomly picking a winner. If a bot account wins, it will be disqualified. Please only follow on Instagram if you plan to remain as a follower and if you are a real person/account. If you plan to unfollow after a winner is announced, then don't enter this giveaway, as this is a thank you to my followers! More giveaways will come!